In this session, we explore with David how Christ’s reign is inexhaustible, there is always “so much more” the Father desires to give us in Jesus. Sometimes our Redeemer King comes upon us when his glory breaks through by outpourings of the Holy Spirit in the renewal of his people – what some call “Christ Awakenings.” During these times, Jesus intensifies and accelerates our experiences of his supremacy. Our Lord is also passionate for the consummation of all things. One day he will come “upon us” in a spectacular, bodily return, in order to triumph throughout the universe forever. Both now and later, the “increase of his Kingdom” has no end (Isaiah 9). We wait continually for more of Christ supreme, not only “then” but “now”, as we pray “Come, Lord Jesus” (Revelation 22). 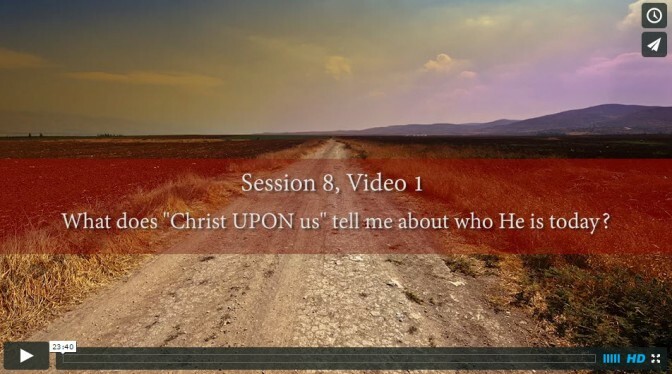 What does “Christ UPON us” tell me about who he is today? What are ways the Final Consummation will exalt Christ? How does Christ signal the Final Consummation right now? Why should I abound in the hope of seeing more of Christ? How might I invite Christ to come upon us in new ways now? Spend a minute in silence, reflecting on today’s teaching. What was the most meaningful part for you? How did it speak to you?